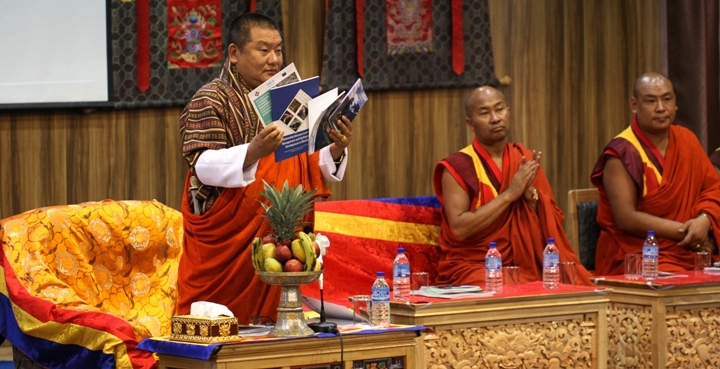 The Ugyen Wangchuck Institute for Conservation and Environmental Research published Historically Significant Trees of Bhutan during the opening ceremony of the 10th World Dendro Conference on June 10, 2018 at the conference hall of the Royal University of Bhutan in Thimphu. This is an effort of the institute to document the stories behind each historically significant trees of Bhutan and to check the age of the tree through the use of dendrochronology. The report is expected to serve as a baseline information to document important trees that are present in Bhutan. The report strives to provide much needed information on the historically significant tree species of Bhutan before its stories are lost together with the tree. The report briefly covers the stories of 35 historically significant trees together with the age of the tree. However, the report states that since almost all the historically significant trees have hollow and rotten trunk, the study couldn’t exactly determine the age of the tree. Some of the trees documented by the report include Cypress tree of Kuje Lhakhang in Bumthang [Height 46.3 m, Diameter at Breast Height (DBH) 204.5 cm]; Pangrizampa in Thimphu [Height 59.2 m, DBH 479.4 cm]; and Bay Langdra in WangduePhodrang [Height 94.6 m, DBH 427.4 cm]. The report states of not having cored the Cypress trees located in these areas considering the sacredness with which the tree is associated with. Moreover, coring Bay Langdra cypress remained out of question as the hollow trunk of the tree is reported to havebeen filled by stones and mud. Besides these Cypress trees, the study team reports the age of almost all the historically significant trees of Bhutan (though the trunk of the trees cored are reported to have rotten). For instance, Blue Pine tree, which is believed to have been planted by ApChundu [protective deity of Bhutan and believed to be birth deity of those born in Haa valley] in Jangakha, Haa is reported to be just 134 years, which remains gross under-estimate of the age of the tree as almost 7 cm of the core is reported to have rotten rendering the section to cross date. In Bhutan’s conservation stories, historically significant trees together with the abode of local deities and sacred sites continued to play huge rule in conservation of environment.